Winner of TOYP for Cultural Achievements! Iryna Shuvalova is Ukrainian poet and translator. She published three collections of poetry and edited the first anthology of queer writing in Ukraine. Iryna was born in Kyiv in 1986. She holds three graduate degrees: in Philosophy, Translation and Comparative Literature. In 2013-14 she attended Dartmouth College, USA, on a Fulbright scholarship. Iryna’s poetry collections, Ran (2011), Os (2014) and Az(2014), have won her a number of national awards. Her poems have been translated into nine languages (Belorussian, Bulgarian, Czech, English, French, German, Greek, Polish and Russian). 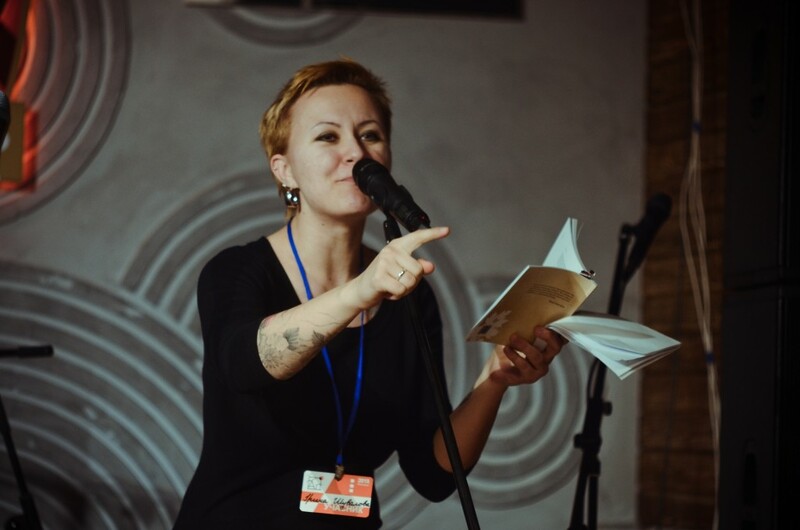 Over the past 5 years Iryna has become a recipient of some of the most important prizes for young poets in Ukraine. In 2010, she placed first in the annual Smoloskyp literary competition in poetry (before that, the first prize for poetry had not been awarded for more than a decade). In 2011, Iryna received the Ukrainian-German Oles Honchar prize and the Blahovist literary prize for her first book of poetry. She was also a holder of the SLS Unified Literary Contest fellowship, the i3 Grant of the Foundation for the Development of Ukraine, the Step Beyond grant of the European Cultural Foundation and the TOYP Award for Cultural Achievements. In 2009 Iryna co-edited the first anthology of contemporary queer literature in Ukraine (120 Pages of Sodom, Kyiv, Krytyka). The book featured poetry and prose by 30 contemporary writers from 15 countries. Iryna is also a translator of poetry and fiction, working with Ukrainian, English and Russian languages. In 2011 she became the recepient of the Joseph Brodsky / Stephen Spender Prize for her rendition of Sergey Chegra’s poem from Russian into English. Among the authors Iryna translated are Ted Hughes, Yann Martel, Arseny Tarkovsky, Virginia Woolf and others. Iryna’s poetry, translations and essays appeared in such periodicals as Ambit, International Poetry Review, Krytyka, Modern Poetry in Translation, Plav, Poetry International, Radar, Vsesvit, Words Without Borders and others. Iryna was a participant of a number of international projects and residencies in Germany, Greece, Latvia, Lithuania, Poland, Russia, UK and USA, including the Hawthornden Castle fellowship (2015). Iryna is also active as a spoken word performer (two of her most acclaimed multimedia projects were “Ran”, which featured pantomime and live cello improvisation, and “rybakylym”, incorporating video art, shadow theater and electronic music). Besides, she continues to work as a lecturer and educator.